Following on from their recent expansion into Japan, the folks at Baidu have set up a new international office, headed up by Grace Zhou, to interface with foreign companies wanting to reach Chinese netizens. Although Google is making aggressive moves, Baidu still dominates search in China, claiming over 60% of searches in this rapidly expanding internet market of over 210 million curious and connected people. 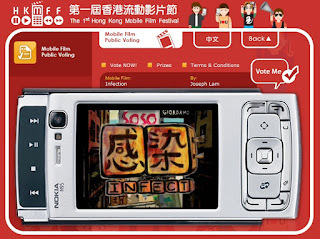 The webinar - login details to be confirmed - will be a panel format with Grace Zhou from Baidu, Lonnie Hodge from Culture Fish Media, Sam Flemming of CIC Data and a representative of ChinaOnTV and moderated by Christine Lu of China Business Network at 11:30 - 12:30 (Beijing Standard Time) on Monday 10th March (note change from 6th March in poster above). There will also be a live Q&A session held via Twitter and Seesmic (again, no account details released yet). You can sign up for the webinar via Facebook or Culture Fish Media's website. As of 19th Feb, 88 people had taken the brave step. For more of his thought provoking rants, you can visit his blog (portension.com), subscribe to his lifestream feedburner feed (on assignment for Charged magazine) or hang out on his Youtube channel. As we transition from the bloated Year of the Pig into the scandalous Year of the Rat, a (sadly large) segment of the internet and media community has gleefully leapt from the trough into the gutter. On top of ruining the careers of local celebrities, what's more at stake is the issue of safe harbour and protecting people's privacy and rights in the online world. Thankfully, we still have high-quality journalism to draw us back to the issues that really matter. The folks at the Wall Street Journal came out with this multimedia report on the value and taste of rats in Vietnam. In the last rodent cycle 12 years ago, rats were very much on the menu in Southern China. I'm not sure if we've moved on or whether the freezing temperatures have frozen up all our rodent delights in this part of the world. 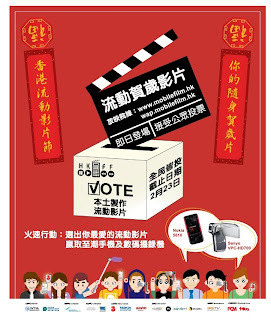 To cheer you up after those post-CNY blues, the creative team at Atomic Sushi (thanks for the witty headline!) have created a catchy Facebook game, aplty named "Rat Race". 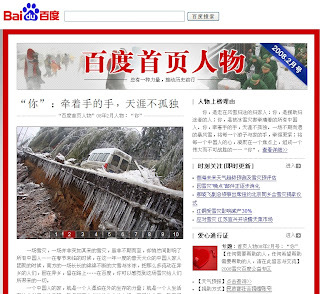 Unlike the mash-up map launched by Google China (see our previous posting), the Mainland's leading search engine, Baidu, has devoted its person-of-the-month page (renwu.baidu.com) to the people affected by this year's wintry woes. The page includes a new section offering links to weather reports and charity organizations providing support to those affected by heavy snow. 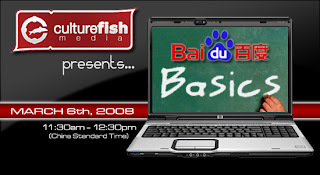 Baidu also replaced its standard Baidu Zhidao and news links with Baidu Post and Baidu Space links related to recent frost-bitten events. There are plenty of charity groups out there, but we recommend World Vision Hong Kong. You can donate directly via their website or print out the donation form. So far they have committed HK$2 million and their relief teams have reached Hunan, Guangxi, Anhui and Jiangxi to distribute 40,000 quilts to villagers to ease their desperate situation.